When Sunny gets blue her eyes get grey and cloudy .... ... then the rains begin to fall ..Love is gone so what can matter?" ... Was a classic song first recorded by Johnnie Mathis in 1962. But living like Sunny in her blue mood is not for me! ..
Can you believe how quickly time goes by? 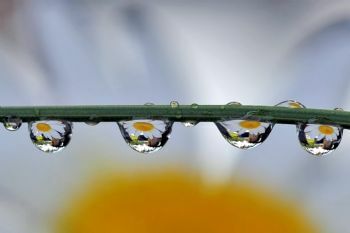 No sooner does the delicate drop of dew form than it falls and is gone. So it is with a single day. As you read this, can you reflect back to your earliest memories? ... Playing endlessly without a care in the world .....:: It is true: Time stands still for no one and we can not afford to stand still either. Our bodies were made for moving. Such a good reminder! Most of us spend far too much of our time looking on the dismal side of life and ignoring the drops of sunshine. I am so glad that I stumbled across your blog! It made me smile! "Slip sliding away, slip sliding away You know the nearer your destination, the more you slip sliding away" by Paul Simon. Funny, I had this song on my mind. Gained a little this week --- Slipping father away from goal. Inspirational "Don't wait for the sun to set before you take care of your body." Better late than never. Well done. I needed this today. Wishing you and we can always use hugs and they don't have any calories! So true! Thanks for reminding us. Every day is a gift. Lovely blog! So much wisdom here. LOVE IT. MAKE MY DAY SUNNY-SIDE UP!!! God bless you and thank you for sharing. Giving up my 7 day work week. Hope to chat with you more should my phone cooperate. Have an outstanding week. Another amazing blog. I love it. I have been on vacation and am now catching up on blogs and Spark mail. You are so accurate in your comments about not wasting a day. Next month is my 70th year so I am cherishing each and every day. Where all those years went so fast is hard to believe. They are gone forever except for the memories. I can't waste a minute, they are too important to me. Have a great week. I thought I had read this and commented on it but I can't see my name. We do need to take care of ourselves! To quote another popular song, "these shoes were made for walking...."
I like my days "sunny side up", too! 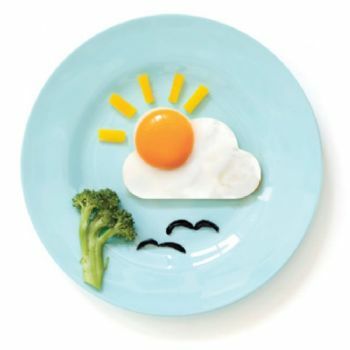 Love the breakfast plate picture! As my ailments become more prevalent, I embrace this philosophy wholeheartedly. You MUST find something positive in every day. Especially on those days when you have to search harder. Keep moving forward. Excellent advice! I try to be as positive as I can be! I love the egg comment! Love this--we can give ourselves sunshine on a cloudy day! Great blog! What good "food" for thought! I agree whole heartedly! I get to choose, positive or negative today? Hmmmmm, POSITIVE I say! Excellent advice, Jan. Time goes so quickly and we can't get back the time that we throw away. I, too, choose to be as positive as I can possibly be............some days are tough, but for the most part, I live in the sunshine. Very well said Jan. This is so true in so many ways. days are here to stay!